They say nothing in life is free, but that is a lie! Because for today & tomorrow, for the first time ever, 18 Things (book #1 in my trilogy) is TOTALLY FREE on the Kindle!!!!!!!!!!!!!!!!!!!!!!!!!!!!! Today is also the last day you can tweet or FB the “thought of the day” for a chance to win a $50 Amazon gift card from my publisher. Click on this link for the Rafflecopter on their site (again, there’s only 130 something entries, so there’s a good chance at winning!). Okay, now that I’ve gotten all the announcements out of the way, I want to share about a family & their charity that’s near & dear to my heart. Monqiue Whan and I were classmates in the same graduating class at Cape High, and I reconnected with her in August 2008 when I signed up to run a marathon to raise money for the Leukemia & Lymphoma Society through Team In Training. Afterward, her and hubby, Rob, started their own charity. And on release day, when you download or buy a paperback of 18 Thoughts, all of my royalties will be donated to their organization. But first, let me introduce ya’ll to this wonderful family. Tell us a little bit about your family and your journey. Rob and I had a family we always dreamed of, a boy and a girl. Sadly, our dream for a perfect little family quickly turned into a nightmare when our 3-year-old son, Caleb, was diagnosed with Leukemia in 2007. Bella, our daughter, was just 2 months old. Caleb underwent 7 months of treatment before he lost his battle 11 days after his 4th Birthday in 2008. Since then, Rob and I still keep up the fight. We fought so hard for those 7 months, we just couldn’t give up. Bella helped us a lot in the healing process. She was just 9 months old when her big brother passed away. We feel she helped us to do the simple things in life, like getting out of bed and making new memories. It has been almost 7 years since Caleb’s passing. One thing I can say is it never gets easier; you just get better at living the life of a grieving parent. I can’t even . . . can’t even imagine. How did you find the strength to move on and start up Caleb’s Crusade? Faith helped a lot, knowing that God is in control of our lives more than ever. We fought for 7 months next to our son. We saw him go through unimaginable treatment; he endured so much for such a young child. When Caleb passed, we still had a small fight in us. We still wanted to fight for him and other children who were fighting cancer. Maybe it was the anger we felt inside that our little boy died? When you witness children dying from a dreadful disease it is heartbreaking. No child should have to endure that. We saw our son take his first breath, and sadly, we saw our son take his last. We cannot give up on our children. It could be your child who is next, and we want you to know we will be there right with you fighting. I remember when my cousin’s young son relapsed. You and Rob were the first ones to call to say Caleb’s Crusade would be there to help with anything they needed, and I was so grateful. How does Caleb’s Crusade differ from other cancer charities? Caleb’s Crusade is pretty hands on, we are available to our families 24/7. We not only provide the financial support, but we also are there for emotional support too.We take our jobs of childhood cancer leaders very seriously. We know how devastating it is when you hear the words your child has cancer. Rob travels to DC and is a voice for our children; he fights for more federal funding for childhood cancer research and legislation that helps bring drugs to market for these sick and dying kids. On the national level, childhood cancer only receives pennies on the dollar. We just try to do as much as we possibly can. Yes, it is tiring and emotional, but we feel as though this is what Caleb would want us to do. What a great way to honor him & leave a lasting legacy in his name. I know he’s smiling down from heaven at you and Rob for sure. To learn more about Caleb’s Crusade, or to even donate, visit their website. And please, if you already plan on purchasing 18 Thoughts (& why wouldn’t you! ), consider purchasing it on release day (which is when? TOMORROW . . . you guys are so good!) to benefit this wonderful organization. Also, did you know about shopping on Amazon Smile? Amazon donates 0.5% of the price of your eligible AmazonSmile purchases to the charitable organization of your choice (*coughs Caleb’s Crusade). AmazonSmile is the same Amazon you know. Same products, same prices, same service. So support your charitable organization by starting your shopping at smile.amazon.com. Thanks for all your marketing help & enthusiasm! I’ll probably post again tomorrow because I’ll be up all night anyway, obsessively checking my Amazon rankings . . . I really can’t help myself sometimes. Self-control really isn’t my thing *opens mouth, inserts chocolate* Be sure to download 18 Things on your Kindle, too . . . what have you got to lose at FREE? It’s the BEST PRICE EVER!!! Will You Share Your Thoughts With Me??? 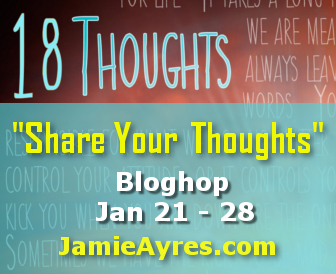 To celebrate the release of 18 Thoughts, the third installment in my My So-Called Afterlife trilogy, I’m hosting a bloghop! On top of that, you have the chance to win one of 18 wonderful prizes donated by some terrific people just for playing! Sound good? Or confused? Let me share some thoughts with you as examples. 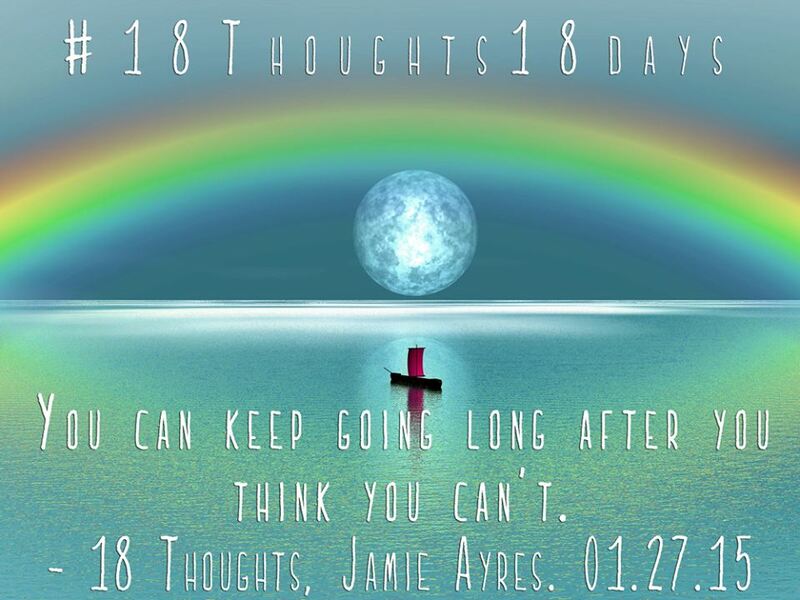 My publisher created an AWESOME countdown campaign last Friday, which marked 18 days until 18 Thoughts releases. 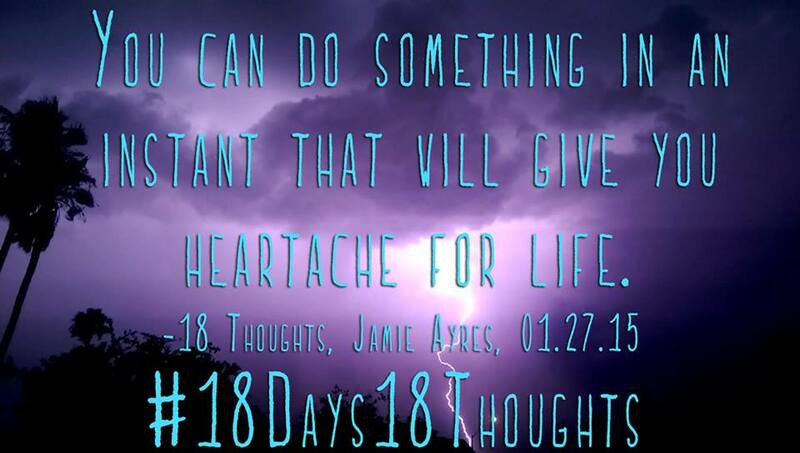 Each day, they’ve been sharing a ‘thought’ on their social media sites with the hashtag #18days18thoughts & asking people to share. Each day that people share, they can enter the Rafflecopter on Curiosity Quills website for a chance to win a $50 Amazon gift card! Take a look at their fine examples (and nooo, you don’t have to include a fancy graphic in your post). And of course, I’d love it if you got in on the action & shared some of the daily thoughts wherever you hang out online. 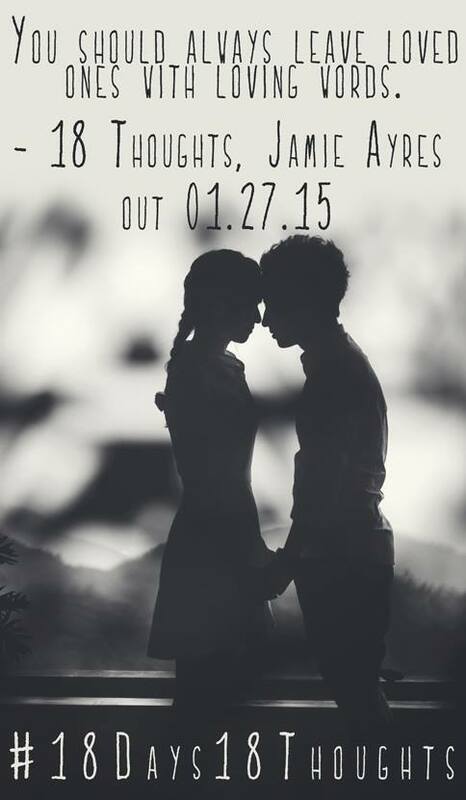 Only 13 days away until release, woot woot! The Sign-Up Link is below for the bloghop! I sincerely appreciate your support in helping me end this series with a bang! The NA fantasy series Heirs of War has taken Wattpad by storm with over one million reads, and the second installment has arrived. Catch up on Heirs of War (#1) for just 99 cents now! When seventeen year-old Zelene finds herself thrust into a world of magic and prophecy, she discovers fighting destiny might not be the toughest battle she has to face. Now she must join with three other girls, complete strangers linked only by blood relation, to fight a war they know nothing of and rescue the twin sister she’s never met. A few weeks later, when she was going to be a homeless single mom with three kids, we took them in. We told her they could stay, all expenses paid, until November 20th, which is when the foreclosure on our home will go through. You might be surprised by this, but between being a teacher and my book sales for 18 Things and 18 Truths, I still don’t have a lot of extra cash (*snort*), but I can say without a doubt this was the right thing to do. That doesn’t mean sharing a 1,700 sq ft home with eight people, five of them kids between the ages of 14 and 9, hasn’t been challenging! Then this past Saturday, our fridge broke and we lost all the food in it. At this point, there’s no reason to replace it, so it was just another challenge. At every turn, something fell through. When I found out this morning the next two houses we were interested in were already off the market, I wasn’t surprised. I sighed, went to my dentist appointment to get my two crowns in (does that make me a princess now? ), came home, and decided to take Kerri out to lunch and not worry about it (for once). When we got back to the house, not only did she have a call saying she got hired at an AMAZING restaurant, there was an alert for the PERFECT house from a realtor. Plus, if the fridge didn’t break on Saturday, I wouldn’t have been looking so diligently because I figured we still had 6 weeks, and I would’ve missed this A*W*E*S*O*M*E deal!! So yeah, WE GOT THE HOUSE! Thank you, Jesus! I couldn’t have asked for a better house for us, at the exact amount I prayed for, on the water (BONUS! Anyone have a paddle boat for sale?! ), and down the canal, a view of my daughter’s high school. Being close to her school was the #1 thing I wanted since she’s involved with a million things and it’s only her Freshmen year (apparently, that’s what you need to do to get into an ivy league college . . . she’s done months hours of research). Speaking of numbers, it’s also October 8th. Dan and I got married on August 8, 1998 because we like the significance the number 8 holds in the Bible . . . it’s the number of new beginnings. Life is full of trade-offs. We lost a good woman, but gained an angel. 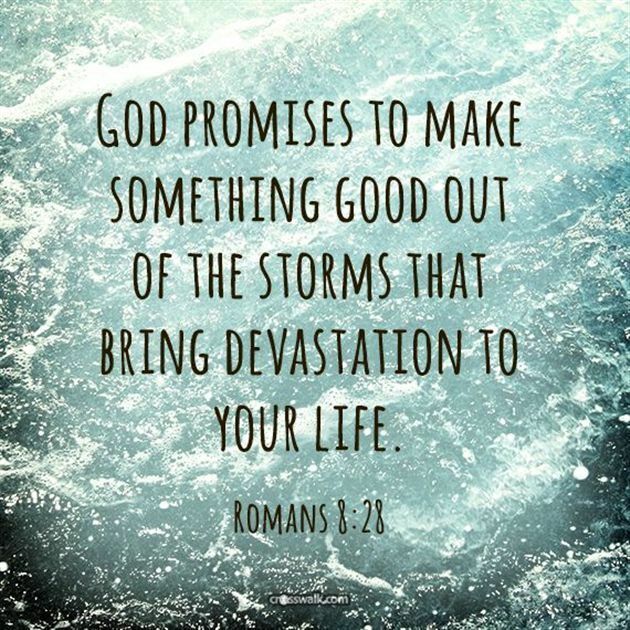 We’re losing a house, but God is blessing us with a better one. It’s a whole new chapter in our lives, and I’m lucky to go forward with such an awesome Father (and angel mama) looking out for us. Whatever you’re going through, hold onto faith that our God is sufficient to supply all our needs. When we hold onto faith, we gain wealth beyond belief. Today I’m posting about my publishing journey as a contribution for the IWSG Guide to Publishing and Beyond. I give Alex J. Cavanaugh and his Ninja Army permission to use my entry. 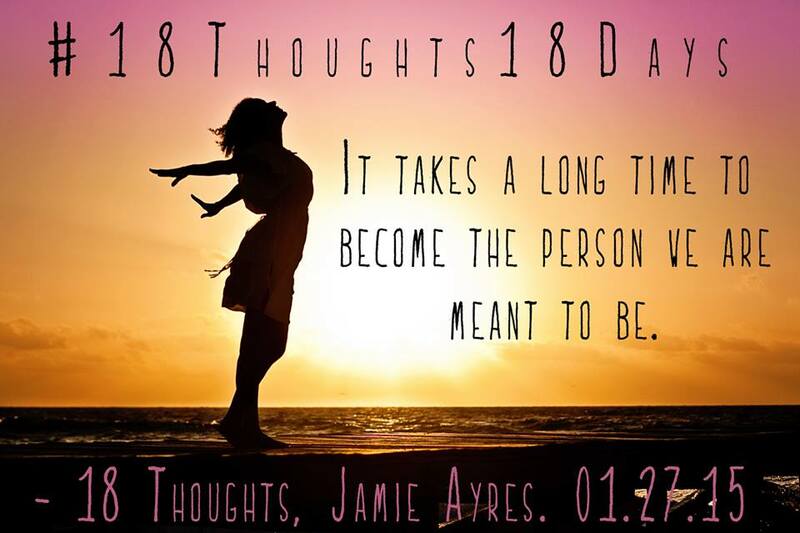 One-line bio: Jamie Ayres writes young adult inspirational love stories with a paranormal twist by night and teaches young adults as a middle school Language Arts teacher by day. Writing is work. It’s work I’ve greatly enjoyed, but it’s still work. If writing is work, publishing is hard work. After publishing my first novel, 18 Things, I’ve come to know how much time, energy, blood, sweat, tears, attention, heart, and soul goes into publishing a book. I’ve had my own limits tested. These days it feels like ninety percent of my writing career is researching, marketing, promoting, socializing, facebooking, blogging, tweeting, speaking, drinking coffee and consuming massive amounts of chocolate, etc . . . and about ten percent of actual writing. So when I received my first royalty statement, I’ll admit I felt like throwing up. Now don’t get me wrong. I didn’t become an author to make tons of money. I wasn’t wearing any rose-colored lenses, expecting my debut novel to land on the New York Times Best Sellers List. But the royalties the first months were so small, I had to ask myself, why even continue doing this? If it was money I wanted, I could easily get a part-time job waiting tables and probably make more in a week than I would in a month of book selling. I was at a crossroads in my life. Both paths, the Published Author and the Hobby Writer, had their good and bad points. But just like so many times before, I let faith carry me forward. I took the profit motive off the table to get myself back in the saddle and write the next two installments of my trilogy, 18 Truths and 18 Thoughts. Because of the talents God has given me, I looked at my book as a gift to the world to empower young people. And it’s the belief I had all along . . . I just forgot about it for a little while. *What challenges have you faced on your road to publication?